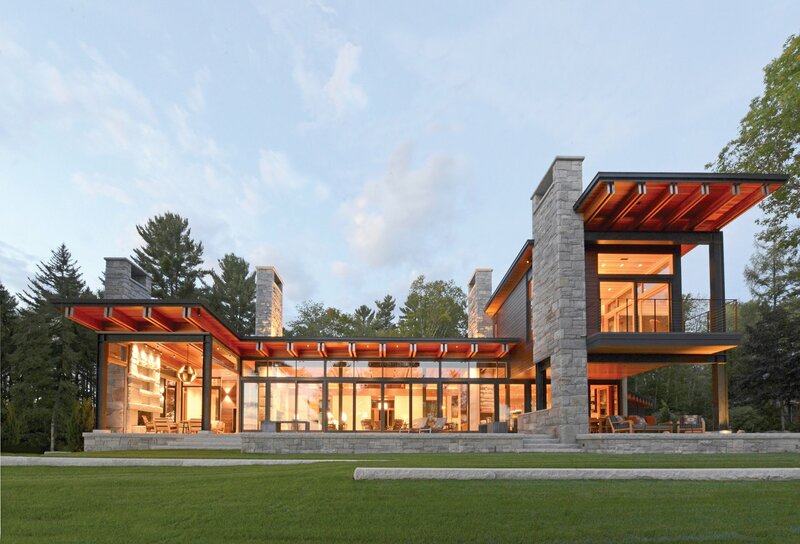 Nine architectural firms took home honors at the American Institute of Architects New Hampshire Chapter’s March 28 annual Excellence in Architecture Design Awards. Selected from 52 submissions, the nine projects and firms were recognized at a ceremony held at the Currier Museum of Art in Manchester. The AIANH Design Awards program, now in its 35th year, was developed to recognize and encourage excellence in architectural design in the state of New Hampshire. In addition, the chapter handed out several awards to individuals in recognition of their service to the profession and the chapter, including Andi Axman, editor of NH Business Review’s sister publication New Hampshire Home. Interior Designer: Heather Wells Inc. 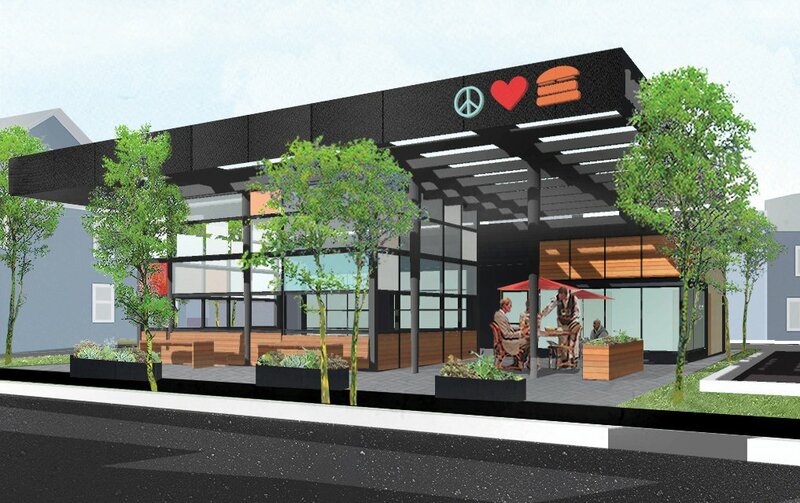 The design team’s concept was to reimagine an abandoned gas station along Islington Street in Portsmouth into the new home of a popular local eatery. The existing derelict site posed many challenges, including limited potential uses and other constraints which has kept the site underutilized in a very busy part of the city. Structural Engineers: Odeh Engineers, Inc.
From program to detailing, the architecture toggles between student-focused community to deep green hospitality venue. 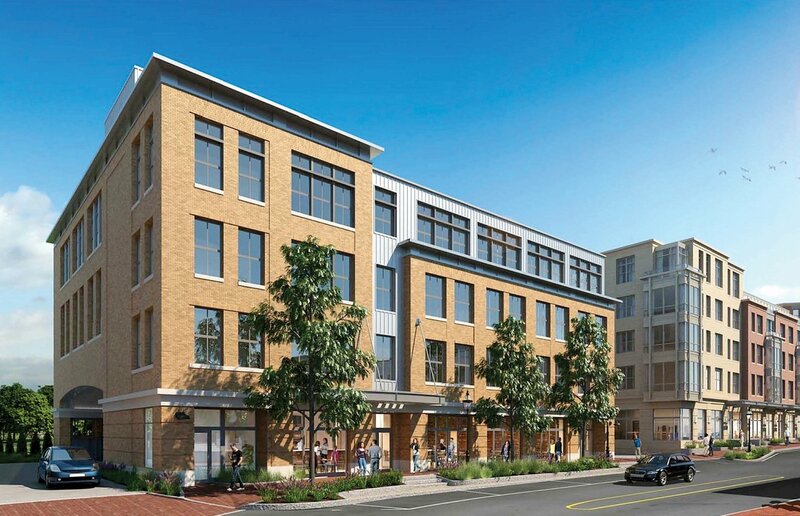 The project includes two main programs — a 348-bed residential living community, and a multipurpose event space complete with pre-function and outdoor space. Project financing was dependent on a seasonal change in use from residence hall in winter months to a hotel serving outdoor recreational tourism in the summer months. 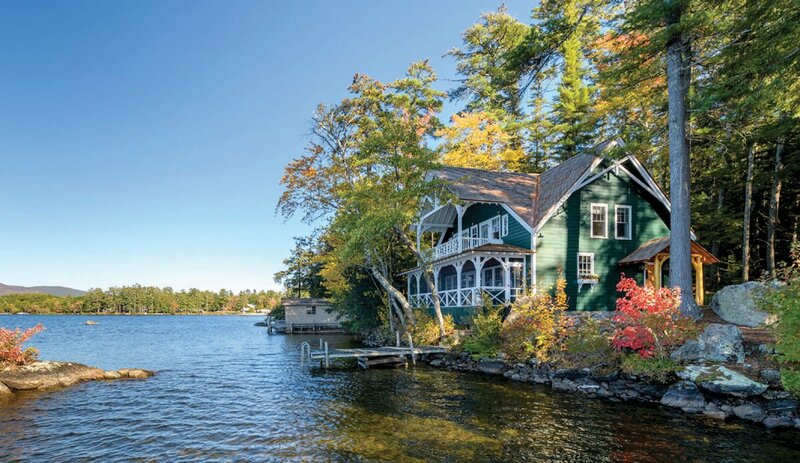 Little Green on Lake Winnipesaukee is a renovated lake cottage that is entirely within the lake setback. The project included an expanded footprint and a new upper level. The architect designed a cantilevered structure to support the two levels of porches seven feet from the water’s edge to minimize lake impact and to preserve trees. The architect worked with the details, fixtures and materials to reflect the historic camp style and its time period, including exposed framing while insulating the building outside the framed walls and closed cell foam at the roof to meet current energy requirements. Albert, Righter & Tittmann Architects Inc.
General Contractor: Duane A. Anderson Builders Inc.
Landscape Architects: Cummin Associates, Inc. The challenge of this project was to build a new house compound without upsetting the sense of place. The site is on a long-standing New Hampshire rural farm that had been abandoned. The new wood-framed structures are conceived in a vernacular rural style. Seven gable-ended forms — five new, two existing — were composed to shape courts and frame views. 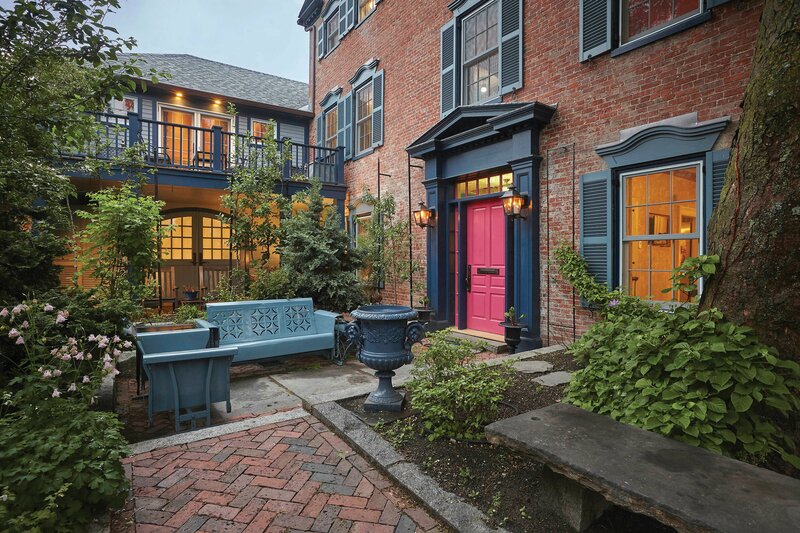 A three-story, 19th-century urban townhouse in the heart of a port city historic district has been brought back to its original grandeur while preserving the home’s historic character. The building, originally a warehouse, was converted to residential use in 1880. The primary goals were to preserve the property’s historic integrity while updating it for modern living with contemporary aesthetics. The work included building a garage with a master suite above. During years of European travels, the homeowners amassed a large collection of antiques, plus a significant library. General Contractor: Harvey Construction Co. 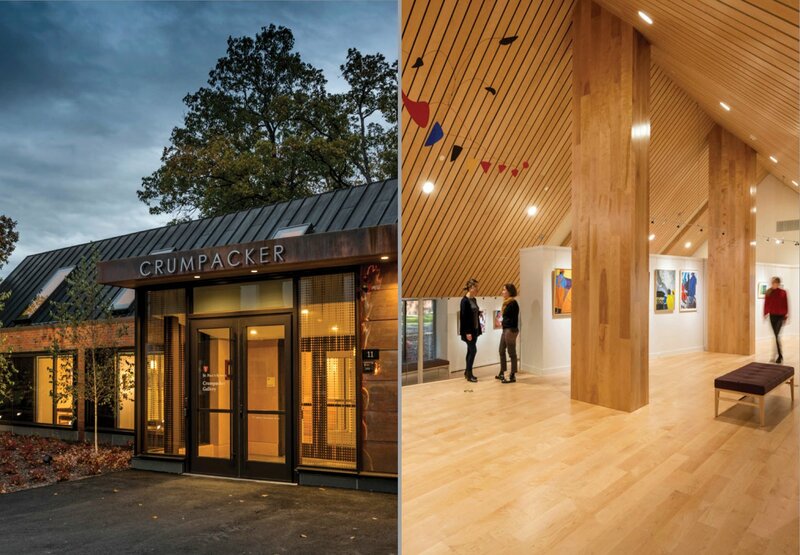 The school charged the architects with reinvigorating the arts program, creating a comfortable place for young artists to create, and a welcoming gallery for formal and informal exhibits. Key aims included minimizing new construction, optimizing existing buildings, preserving open space, and supporting sustainable campus initiatives. 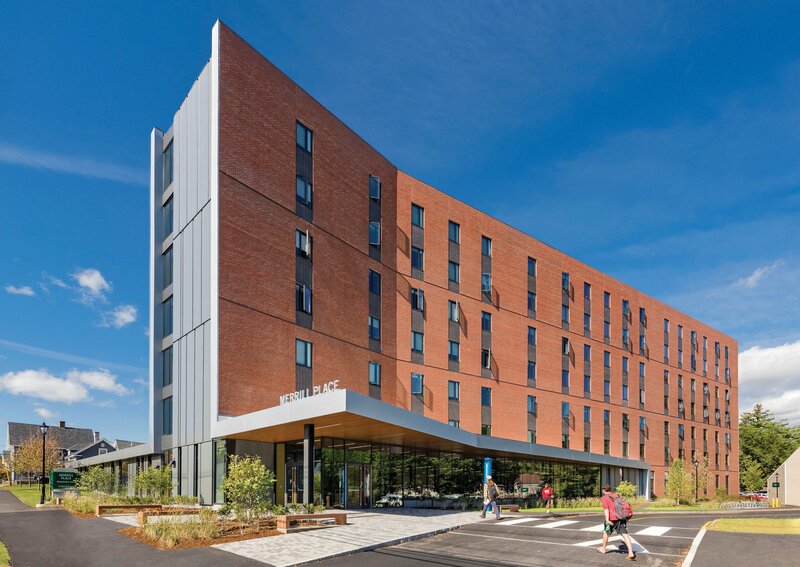 Southern New Hampshire University’s Kingston Hall is a 382-bed residence hall that replaces three of the university’s aged buildings with one, student-centric living, learning environment. Residential wings are organized in 16- and 20-bed pods which include shared bathrooms and living rooms. The first floor is open to the greater campus community, providing an array of amenities, including game room, private and public study spaces, computer lab, outdoor patio and multi-purpose classroom. The residence hall has an open-style kitchen area where students can convene, make meals together and connect with their peers. 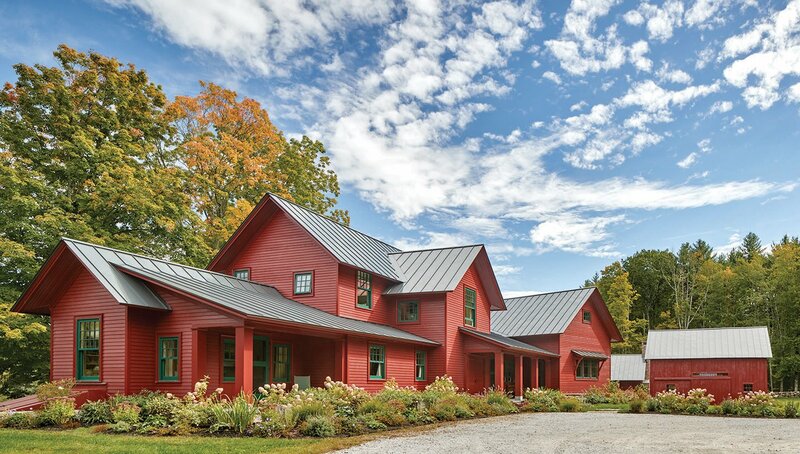 • Dennis Mires was presented with the 2019 Clinton Sheerr Award for Excellence in New Hampshire Architecture. The highest honor bestowed by AIANH, the Sheerr Award was established to recognize outstanding architects who exemplify the late Clinton Sheerr’s dedication to the architecture and environment of the Granite State. 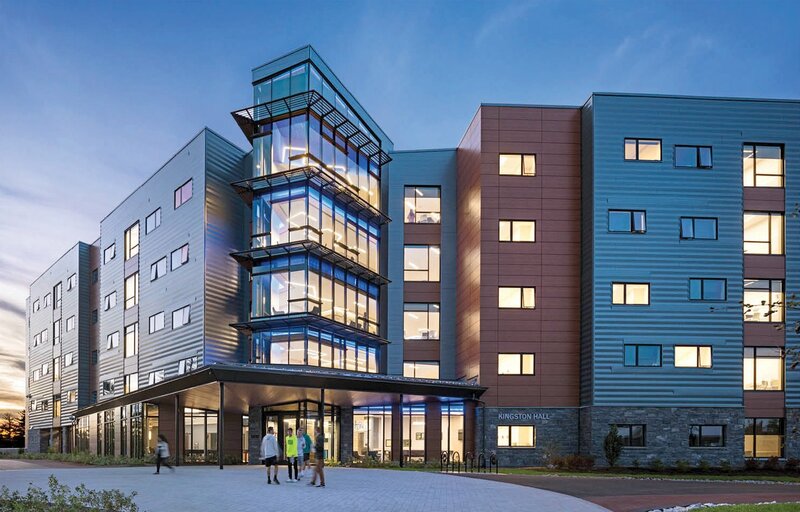 • Robin LeBlanc, executive director of Plan NH, Andi Axman, editor of New Hampshire Home magazine, and Victor Azzi, who oversaw construction of a wide range of buildings on the University of New Hampshire campuses, were named Honorary Members of the chapter. The award is bestowed on non-architects who have given distinguished service to the profession of architecture or to the arts and sciences related to architecture within the state of New Hampshire. • Sheldon Pennoyer of Sheldon Pennoyer Architects in Concord, was presented with an Outstanding Service Award for his commitment to the AIA New Hampshire Chapter and the profession.